Brown with blonde highlights. 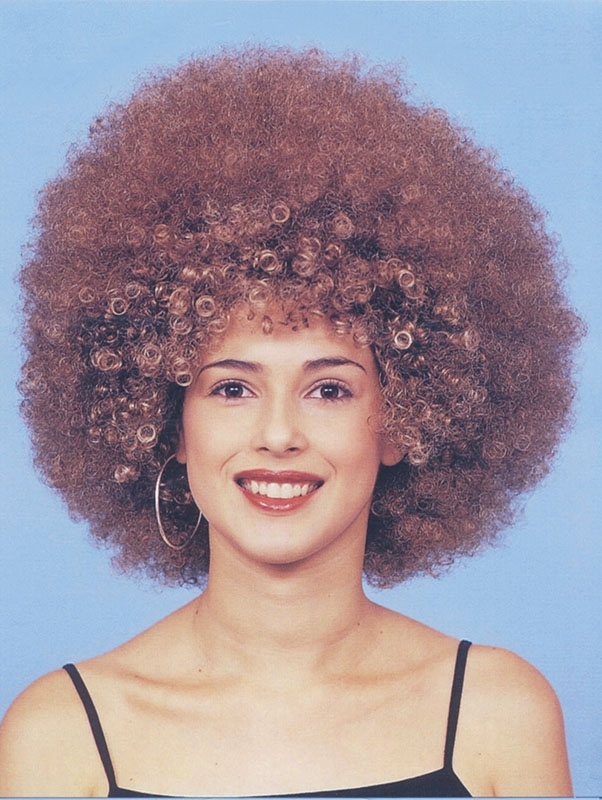 You will certainly stand out in a crowd with this wig on. It's massive!